In his previous incarnation Lord Arahnath's soul was King Dhanpati of Sushima city in Mahavideh area. He took diksha from Samvar Muni and did deep spiritual practices. 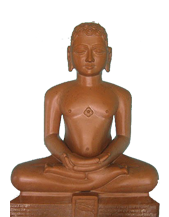 As a result of his vigorous penance and devotion for the Arhant, he earned Tirthankar-nam-and-gotra. Completing his age he reincarnated in the Graiveyak dimension of gods. From the dimension of gods he descended into the womb of queen Mitradevi, wife of king Sudarshana of Hastinapur. Queen saw the auspicious fourteen (sixteen according to the digamabar jain beliefs) dreams. This indicated that the coming soul would be a conqueror – a chakravarti king. And these dreams also indicated that he would be a Tirthankar. On the 10th day of the Margshirsh Krishna month of the Hindu calendar, queen Mritradevi gave birth to a son. Besides the fourteen (sixteen according to the digamabar jain beliefs) great dreams that precede the conception of a Tirthankar, queen Mitra Devi also saw a gem studded wheel (Arah). Accordingly, after the birth the boy was named Arah Kumar. When Ara Kumar became young he was married to many beautiful princesses. Later king Sudarshan gave the kingdom to Ara Kumar and became an ascetic. For some years Arnath ruled as a regional king. Gradually his power and glory increased. Soon the disc weapon "Chakra" appeared in his armory and he proceeded to conquer the world with his mighty army. He conquered the six continents and became a Chakravarti. In his attendance were thirty two thousand kings.